Bits of brain cover newspaper laid down to keep the meat and blood off the table, while everywhere hangs the chemical smell of death. With a wad of cotton wool wrapped around the tip of a pair of tweezers, I scoop out matter from the skull cavity of the head that I have just cracked open. “Stick that in and gouge out the brain,” says my instructor, nonchalantly. This is not a gory crime scene, though it is gory in many respects. No, I’m just stuffing a mole. 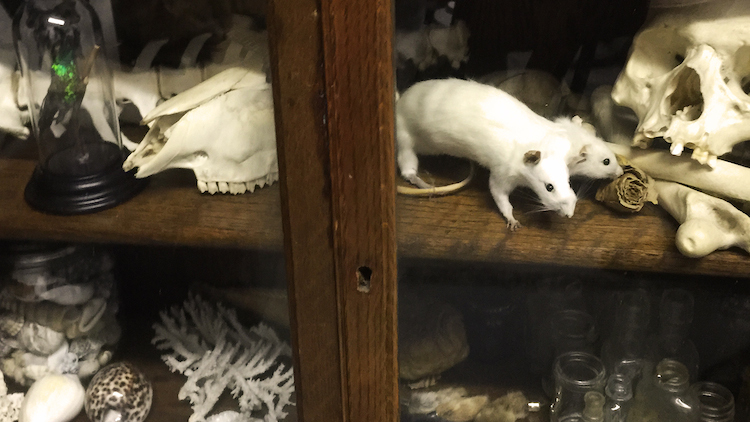 Welcome to the world of taxidermy, a world built around dead bodies that is itself alive and well. 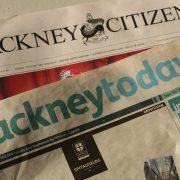 We are at the Last Tuesday Society, a museum of curiosities in Hackney. After paying a visit there some time ago, and enjoying the oddities and stuffed animals on display, I was inspired to sign up for one of their taxidermy classes and have a go myself. The art of taxidermy has been around for centuries. It enjoyed its golden age during the Victorian era. The Victorians enjoyed stuffing and mounting animals in human-like forms, this practice is known as “anthropomorphic taxidermy”. The term “anthropomorphic” in this context means to pose something non-human in a human-like way. The animals are dressed and placed in tiny dioramas depicting common human activities — from a pair of duelling mice holding swords, or a whole orchestra of mice playing instruments, to hedgehogs playing croquet. The Victorians were an odd bunch. Taxidermy is not for the faint-hearted. Skinning and snapping bones is involved, although it does not seem so far removed from preparing chicken for a Sunday roast, just with more care. 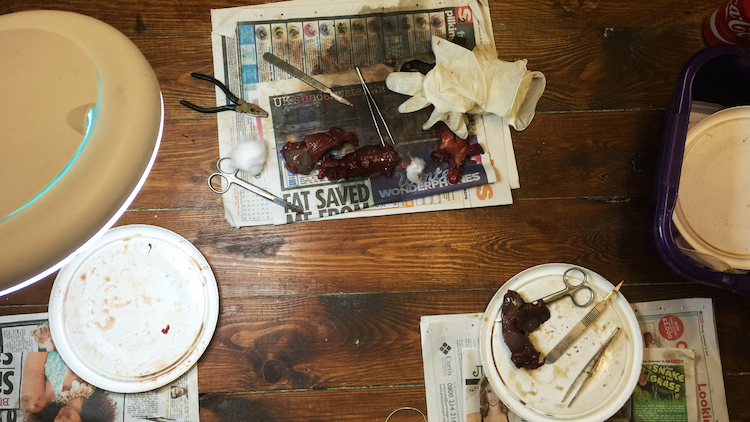 The class is taught by Tonja Grung, who has been a taxidermist for six years. 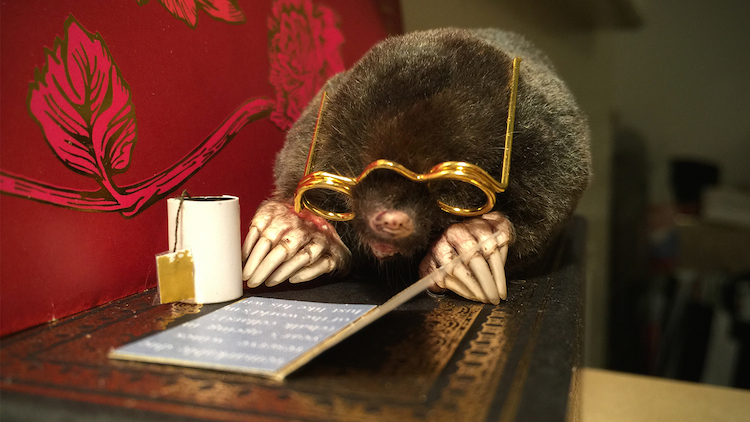 I am preparing my mole in her studio, surrounded by her work, which ranges from a cheeky looking fox to a weasel with a bow tie whose waistcoat is still in production and a two-headed rat. All the animals used in the classes are sourced ethnically. None of Grung’s specimens are killed specifically for taxidermy. I snap on a pair of latex gloves and gingerly pick my defrosted mole out of a blue tube, the tiniest of the bunch. He looks like he’s taking a nap. Yes, it’s a he, we checked. I decide to name him “Fred”. I’m trying my best not to breathe. 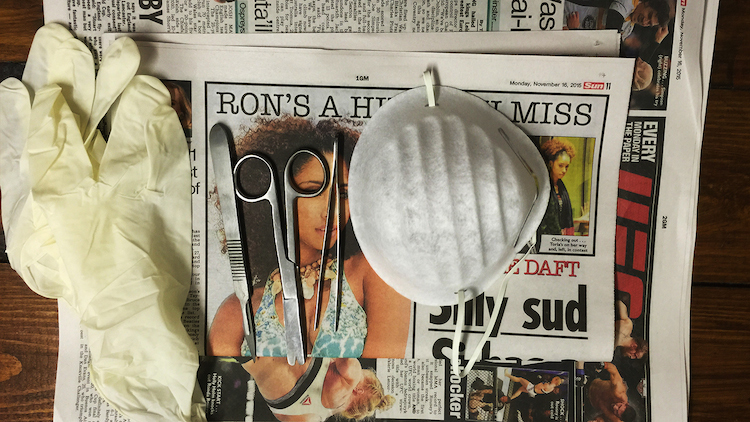 Masks are provided, but there’s no smell of rotting flesh, just a mild aroma of chemicals, from the anti-skin slippage solution. I soon get over it. “It’s done when your fingers can touch around the spine, then we go all the way down the bum and turn it inside out,” Grung says. The scalpel glides through the skin with little resistance. You would expect blood and gore by now, but as long as you are careful not to cut into the actual carcass, with its pockets of intestines, it’s pretty tame. “See how jelly-like it is on the inside? 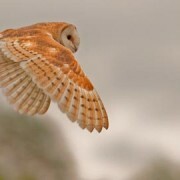 It’s built this way as it lives underground and needs the flexibility to burrow,” Grung explains. It certainly does resemble Jell-O — it has the same wobble, so that will definitely be off my menu for a bit. Now the finicky bit begins. It’s a delicate process that requires a firm hand at the same time. The quiet sound of squelching fills the air as I navigate and shift bits of organs to separate the skin from the carcass. “Feel your way to the kneecaps,” Grung says. I lose my way a few times. When I finally locate the bone, using a pair of scissors, I snip it off. I wince. It makes the most unpleasant crunch. It is strangely reminiscent of the act of taking off a t-shirt off as I pull the skin away from the carcass. My arms are starting to ache at this point. With my handy pair of tweezers, I remove his tongue. Scraping the scalpel against the bone, makes for quite the uncomfortable sensation. 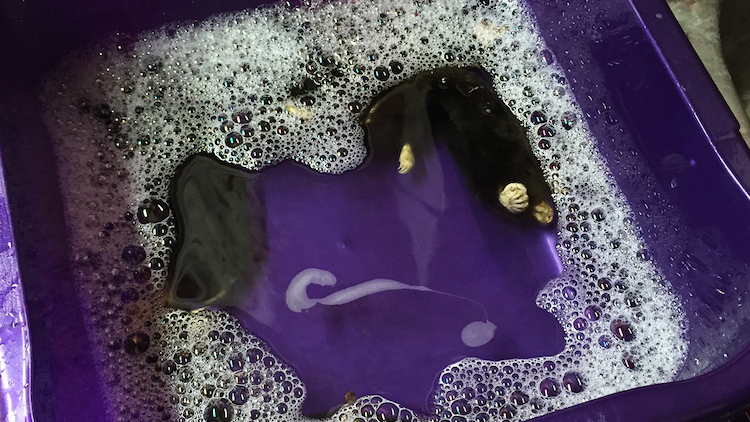 I give Fred a wash, first a rinse in washing up liquid followed by a five-minute soak in a moth repellent solution and then a final quick rinse in cold water. I wring him out, more confident in handling the skin. “The skins are pretty tough,” Grung assures me. Blow-drying the mole reveals a beautiful plush soft pelt. I can’t help but stroke my new furry friend. I’ve grown quite fond of him. Turning him inside out once more, I dust borax, a drying powder, and tanning solution on the skin. I pad the skull with a bit of clay to reshape its face. With a bit of wood wool, and the carcass as a guide, I shape it to roughly the same size. I insert the form back into the skin, pull it close, and stitch him back up. And voilà, I’ve stuffed my first mole. He is adorable. I decide to stick a pair of glasses on him. Ater all, moles are notoriously short-sighted. I give him a mug of tea and a book. I’m quite happy with my first go at taxidermy. I wouldn’t mind a stuffing a bird next. But I don’t think I’ll be stuffing any of my own pets anytime soon. Croydon community steps up to save life of local man.